As you can see, the shades are pretty much identical. 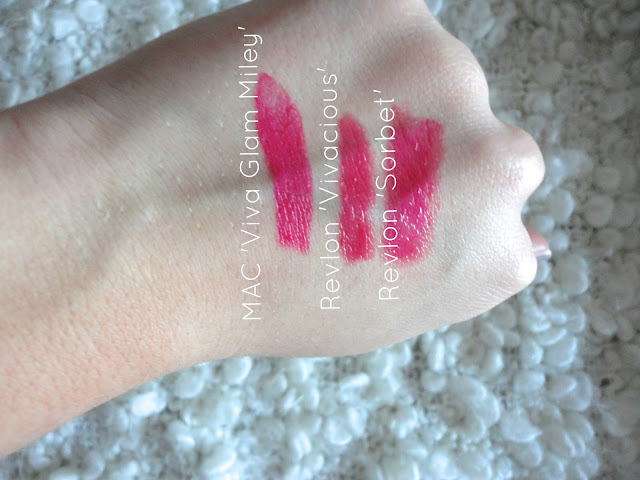 This is great if you're looking for this kind of hot pink colour, as Viva Glam Miley has now sold out, so these two are fantastic alternatives. If you want a more pigmented finish, I would recommend the Lacquer Balm as I find these to give more colour payoff compared to the lip butters, but if you want sheer buildable colour, if you're just wanting to try out the shade without going for a full pigmented version, I'd recommend the lip butter. They're also really comfortable to wear on the lips as they feel more like a lip balm, so great if you're just starting out with lipsticks or brighter colours. 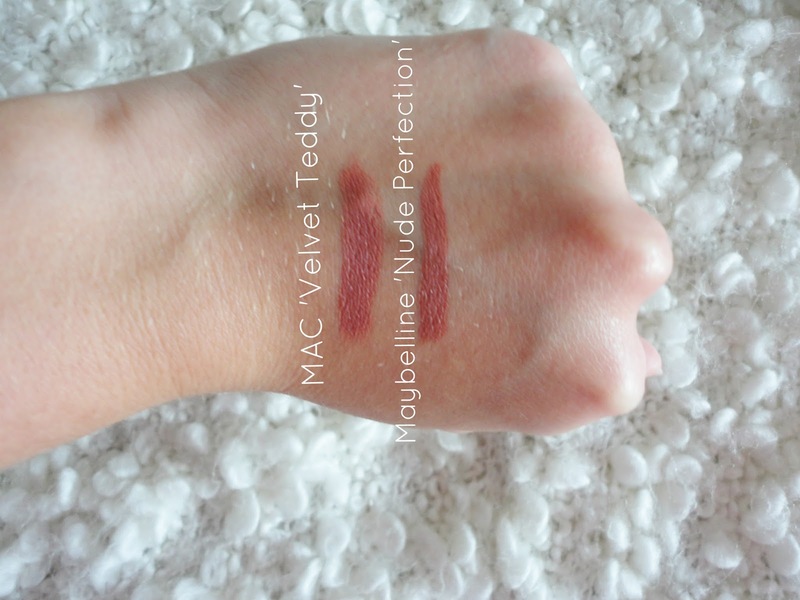 I think this is one of my favourite dupes I have found, because not only is the shade practically identical, the formula and finish is pretty much the same too! Both dry to a matte finish, and have fantastic lasting power. You can get the Maybelline pencil for under a fiver too, meaning you can get 2 more for the price of just one 'Velvet Teddy'! What do you think of these dupes? Let me know if you have any dupes in the comments! Come back on Wednesday for my Lipstick Tag post, then another fantastic dupe coming up on Friday!